The LEP Network | "In a Local Industrial Strategy, disabled people need to be seen as an opportunity"
The biggest demographic group under-represented in the workplace is disabled people, yet many of these people already have accredited skills. Here, Philip Connolly, Policy and Development Manager at Disability Rights UK, sets out how Local Industrial Strategies should utilise these skills and include this group as part of their local economic growth plans. A Local Industrial Strategy (LIS) is inevitably focused on enacting the National Industrial Strategy i.e. productivity, productivity, productivity. However, is this to be achieved by getting students to do more PhDs in Science, Technology, Engineering, Mathematics and Medicine (STEMM) subjects, or is there a more egalitarian approach? The answer to this is of course, “yes”. 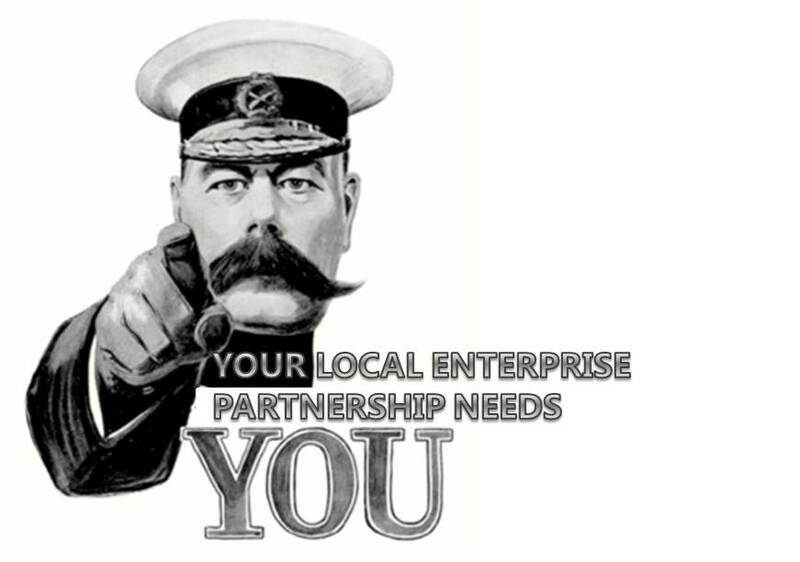 There are underutilised as well as under-employed people in every Local Enterprise Partnership (LEP) or Combined Authority Area. Supporting these people to transition into work offers a rapid gain in local productivity. The biggest demographic group under-represented in the workplace, already resident in the UK, is disabled people. Many of these people already have accredited skills, a resourcefulness that comes from meeting the daily challenges that arise from their health conditions, and of course want to work, but need additional support to get there. So often these people are overlooked. For example, the LIS Guidance omits to mention them as either beneficiaries or contributors to these strategies, despite their large numbers; nationally one in five of the adult population is disabled and less than half are in work. However, you as the creators of these Strategies are in a position to change all this and to do so over the period of a generation. In doing so you would also be addressing pressing social needs. The 2016 “Disability and Poverty” report by the New Policy Institute (commissioned by the Joseph Rowntree Foundation) highlighted that half of all households living in poverty had a disabled person within them. So, how should a LIS deal with this? Firstly, it should avoid the trap of seeing this as only a problem of the “People” strand of the Industrial Strategy. Proportionally there are more disabled people self-employed, than non-disabled people. Disabled people can and do successfully run businesses and employ other people, including non-disabled people. If disabled people do not appear on the demand side of the local labour market, they are certainly more likely to appear on the supply side, including the unemployment figures. In a LIS disabled people need to be seen as an opportunity, both to boost local productivity, but also strengthen local economies. If more disabled people are in work their spouses, parents or carers are also likely to have more disposable income and to spend it locally too. On present trends the government’s target of moving a million disabled people off benefits and into work by 2027, is actually going to take 37 years and not the 8 years remaining from now. Thus the Local Industrial Strategies present an opportunity to accelerate what is already a government manifesto commitment. So, what would the policies look like? Ideas: All the Local Industrial Strategies require the engine of ideas. They require ideas that disrupt “business as usual”. We ask each Strategy to disrupt failure being the norm i.e. inter-generational poverty or low aspiration. In the report we co-authored on behalf of the All Party Parliamentary Group (APPG) for Disability, we featured the value of a disruptive hypothesis. It went like this. If in 1985 we had taken young, unemployed disabled people and trained them in the use of personal computers, our surmising is that in 1990 they would have been the first to get the jobs helping businesses to digitalise their customer databases. So, in what could we train people in 2020, such that by 2025 they are the first to acquire jobs with these skills? Clearly this will relate to the local economy and the future of its growth industries; but can we put disabled people in the forefront of our labour strategy for meeting future skill shortages? People: The Cabinet Office recently consulted upon the metrics of social value in public sector commissioning. One of the metrics was the percentage of disabled people employed. Under the Social Value and Equalities Act, this is already possible. Could the Local Industrial Strategies pick up on this possibility? We would like to see them do so and make this a requirement of all contracts over £100,000 in value or twelve months duration. Business Environment: Disabled people running businesses may often have to learn skills of Assistive Technology as well as the skills of running the business. In meeting these demands it can be useful to be supported by being members of networks of other disabled people who have “been there and done that”. Sometimes, existing business networks such as the local chambers of commerce may benefit from support, to make their advice services more accessible. Could Local Industrial Strategies carry commitments to accessible business support for disabled entrepreneurs? Infrastructure: There are many types of infrastructure other than major public works. Some types of infrastructure catalyse exchange like eBay, or trading like the cosmetic counters in department stores, that lure customers further into the store, where they’ll make more purchases. Each LEP or Combined Authority area could create digital infrastructure to facilitate skills sharing, access to assets or the promotional collaborations; but could it do so with disabled people as the prime beneficiaries? Place: Distinct places bring distinct possibilities. For example, historic environments attract tourists in addition to residents. The increased footfall brings the possibility of new and smaller traders and niche retail. The government has recently recognised the value of this with increased funding to support high street visits, rather than shopping online. However, disabled people need an accessible public realm to avoid them having no option other than to shop online. Could the Local Industrial Strategies address any severance issues of moving from the neighbourhood to the town centre? And could the local Disabled People’s Organisations (DPOs) be involved in defining the improvements needed? The answer to all of this, is obviously, “Yes!” Every LIS should be judged by a social mission and in this case its involvement of disabled people as beneficiaries and contributors. In this way we add to the productivity of individuals, families and communities. We therefore invite you to take up these suggestions and in the spirit of partnership and collaboration, send us a copy of your LIS.